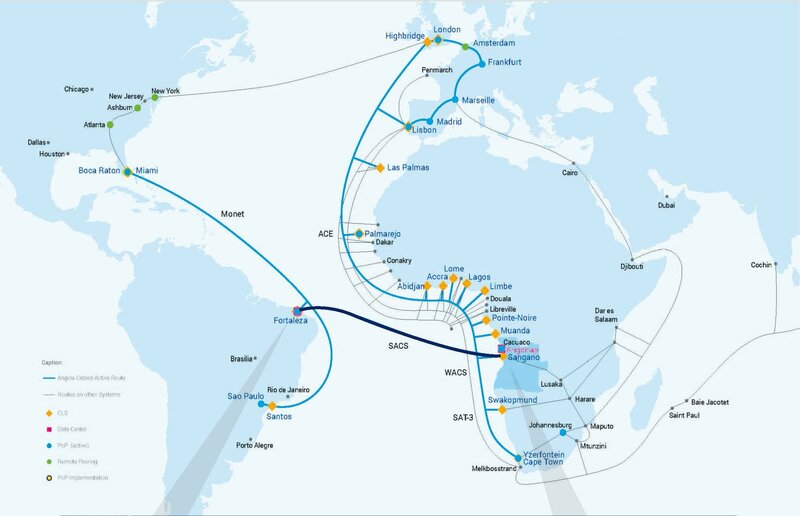 Japanese telecommunications provider NEC has completed the installation of the first fiber optic submarine cable to cross the South Atlantic and connect Africa to the Americas, two years after starting the project. 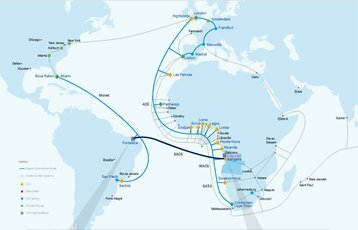 The system, commissioned by African wholesale telecoms operator Angola Cables, links Luanda in Angola to Fortaleza in Brazil, promising to lower latency – from 350ms to 63ms - and traffic costs between the two continents, while delivering a five-fold increase in data transfer speeds. It is hoped that the new cable system will boost economies in both Africa and South America, vastly speeding up data exchanges between the two continents that previously had to route their communications through Europe. Beyond the obvious connectivity improvements, the cable will lighten the load on fiber optic routes between the US and Asia too, halving latency between Miami and Cape Town.